NUYU Tattoo Removal is the Laser Tattoo Removal specialist in Montreal. Founded in 2010, NUYU Tattoo Removal was the first tattoo removal clinic to use laser technology in Montreal for Tattoo Removal Treatment. Since then, thousands of clients have trusted us to remove their unwanted body arts. AT NUYU Tattoo Removal, we offer the best Tattoo Removal Treatment at competitive prices. Using state of-the-art equipment, we're able to satisfy our clients' needs while giving them peace of mind. Our certified tattoo removal specialists will work with you to make sure your treatment is a success. NUYU's Laser Technicians will guide you from the initial Free Consultation to post-treatment care. We are tattoo removal specialists. We remove tattoos all year long. Our clients are therefore guaranteed to have access to the best tattoo removal Treatment at a reasonable price. To date, laser is by far the technology that has provided the best Tattoo Removal results over the last 20 years. That's why we decided to focus on laser tattoo removal. We have many clients who come to us after having unfortunately spent a lot of time and money on other tattoo removal methods. To learn more about Lasers and Tattoo Removal, go to Wikipedia web site. The Palomar Q-Yag 5 remains the benchmark tattoo removal machine on the market. Made in the U.S.A by Palomar, this nanosecond technology has been tried and tested. Other similar products are available on the market, but none come close to the quality offered by the Palomar Q-Yag 5. At NUYU Tattoo Removal, we closely monitor any technological advancements in tattoo removal. As soon as any new improved and tested technologies becomes available, we make sure to offer the best Tattoo Removal technology to our clients at reasonable prices. At NUYU Tattoo Removal, we only use the best Tattoo Removal machine and we're proud to use the most efficient laser system: the Palomar Q-Switched Yag 5. Centrally located in Old Montreal, NUYU Tattoo Removal is a fully-equipped modern clinic that meets Quebec's highest standards for laser operation, hygiene, and safety. At NUYU Tattoo Removal, all our laser technicians are certified professional laser technicians from an aesthetics academy. Our personnel hasn't only mastered the equipment, but they also fully understand the skin and the ways it reacts to laser treatments. Don't trust just anyone with your skin—while looking for a laser tattoo removal specialist, choose a clinic that is well-established in the field and whose staff is properly trained. NUYU Tattoo Removal is a safe choice. Since 2010, thousands of clients trusted us with their tattoo removals. 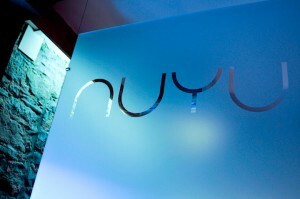 Every member of NUYU Tattoo Removal staff is a professional certified laser technician from an aesthetics academy.